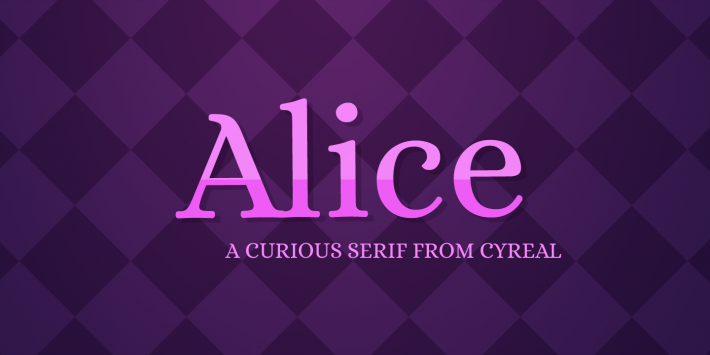 Ksenia Erulevich, the designer of the Alice typeface, was inspired by Lewis Carrol’s novel and decided to make a typeface that will be suitable for typesetting that book. 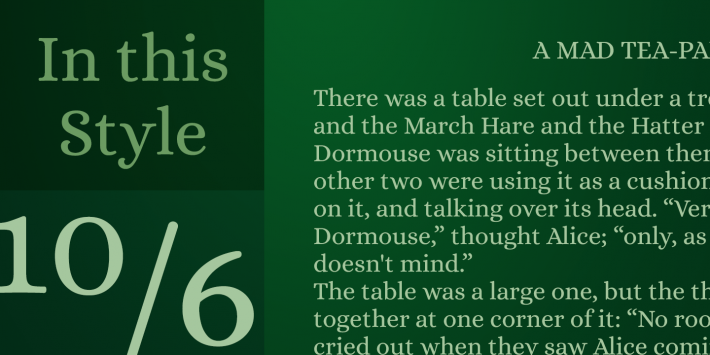 It came out eclectic and quaint, old-fashioned, having widened proportions, open apertures, and soft rounded features; perfect for both long meditative text typesetting and headlines. 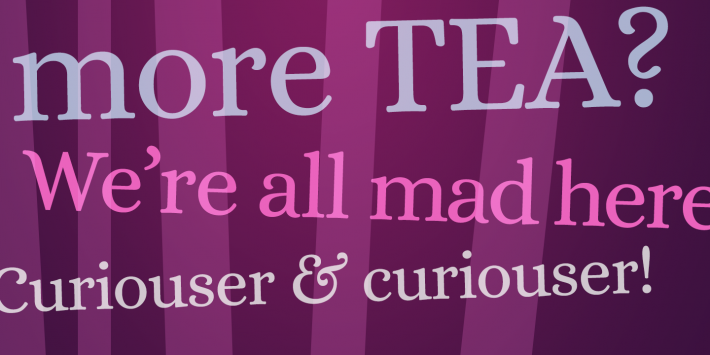 This was Ksenia’s first typeface, developed during her diploma in Type and Typography in Moscow, Russia. It was made ready for publication by Gayaneh Bagdasaryan and Alexei Vanyashin.